Visit El Azhar, the first Islamic University. Then, visit the Babs (ancient gates) and mosques of Cairo. 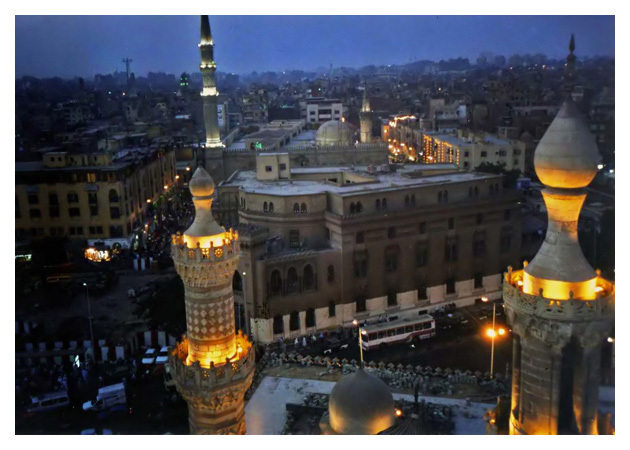 The first sites you will visit are El Azhar, the first Islamic University, and Al Mouayyed Mosque. Next is Bab Zuweila, which was built under the supervision of Badr Al Dein Al Gamal. Across the road is Al Hussein Mosque, and the unique Islamic house Beit El Sehimy. You will then continue walking to Al Hakam Mosque, one of the Fatimide Mosques, then to Bab al Fetouh and Bab Al Nasr which were built under the supervision of Gawhar El Sakaly.